Welcome to Eastern Suburbs Sydney Bathroom Renovations. Our team of expert bathroom renovators have decades of bathroom design and remodeling experience. Specialising in complete bathroom renovations we manage your entire project from design, demolition, build and installation to cleanup. Want a completely new look and feel in your bathroom? That is exactly what you get with our makeovers. When you are considering upgrading your bathroom, ensure you don’t forget about your laundry too. Not all of us have the space for a separate laundry, but if you are pressed for space don’t worry. With some space saving ideas such as the combined washing machine and dryer we can give plenty of ideas to regain a functional laundry space. Whether you want to combine laundry facilities with a current bathroom or keep it separate, speak with our team about renovating your laundry. Bathrooms are our specialty. But we don’t just muck around with changing a vanity or shower screen. We specialise in complete bathroom renovations. Talk with us when your bathroom is beyond simple repair. We will discuss with you your plans and goals, design a completely new bathroom and start the makeover. Leverage our decades of experience. Add new life, style, functionality and more to your bathroom with our renovation transformation. Our professional team are also experts in kitchen designs and renovations across Sydney. 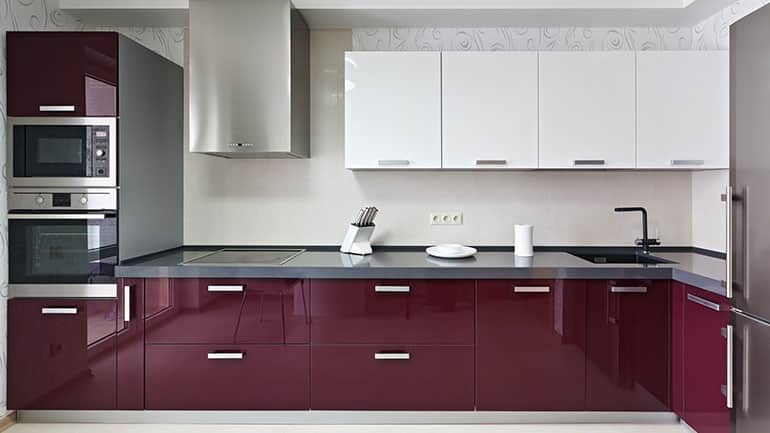 There are many of the same considerations that must be taken care of when renovating a kitchen. From space saving, functionality and practicality to style and elegance. Combine your bathroom, kitchen and laundry renovations to produce consistency within your home. From matching tiles and appliances ensure each room has a complimentary style and mood. 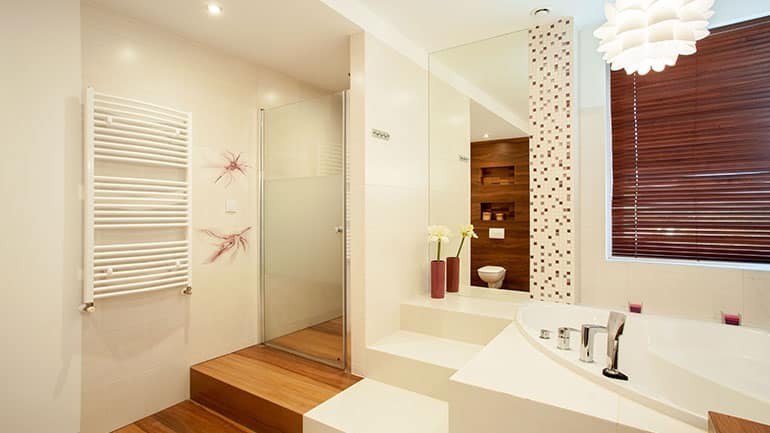 The main bathroom in your house gets the most use, often from guests and all residents. For this reason it needs functionality, storage and be built to last. 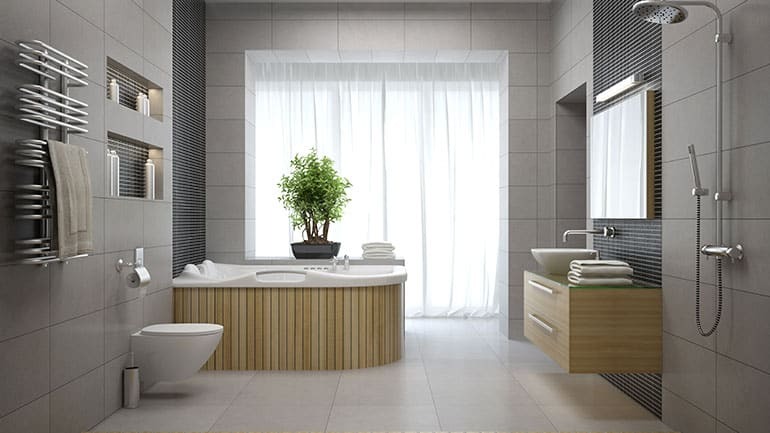 We have thousands of bathroom design ideas to help you find the best solution for your needs. 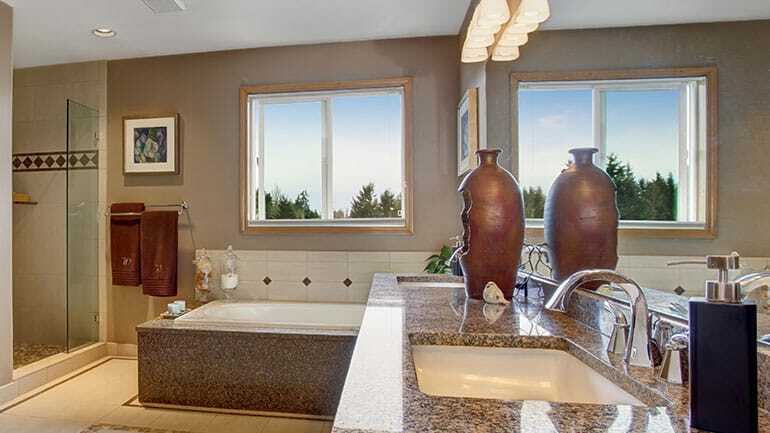 Get personal with your own private ensuite. Maybe you want to add functionality with his and her sinks? Or how about creating the ultimate escape with a jetted spa bath. Let’s transform your ensuite into a showroom masterpiece. Normally consisting of only of a toilet, sink and mirror, powder rooms are convenient for drop ins. Ensure your powder room is meeting your homes demands with a timely upgrade. Our small bathroom renovations are perfect for the smallest spaces. 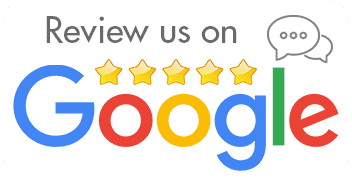 Why Choose Eastern Suburbs Sydney Bathroom Renovations? 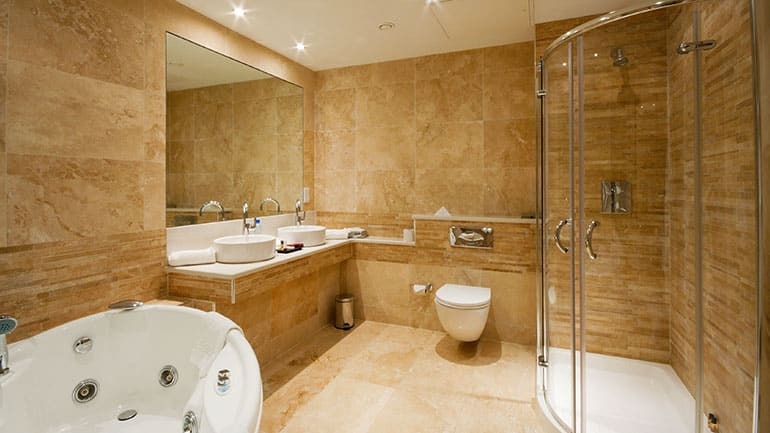 Experienced and fully qualified in the field of bathroom makeovers. Our team manage all required trades such as plumbing, waterproofing, tiling, shower screens, gyprocking, rendering, electrical and more. 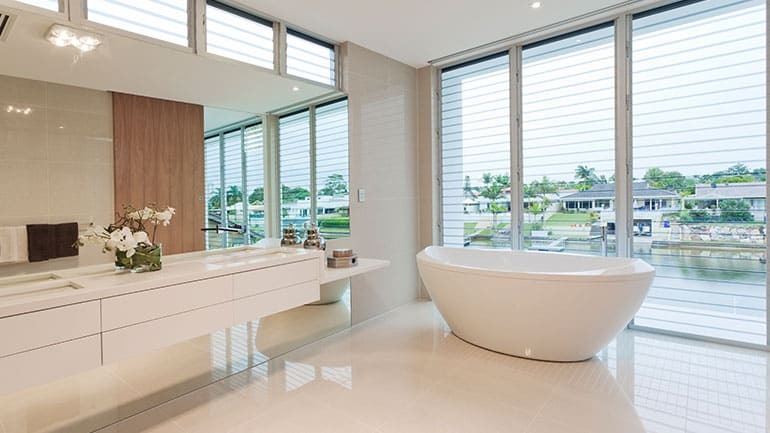 Our Sydney bathroom renovators create custom bathroom designs to suit your home and lifestyle. With bathroom design styles including modern, contemporary, traditional, and even designer we can build a bathroom to meet your exact requirements. 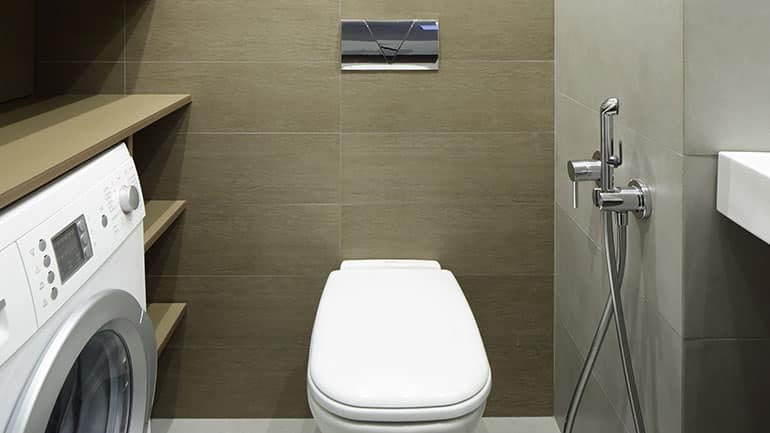 Is your current Sydney bathroom looking dull, tired and lifeless? Maybe it has a crazy colour scheme and looks like something from the 80s or 50s. Sounds like it’s past its use by date and its time to remodel that outdated bathroom. If you want to hold onto the classical look and feel, we have you covered with a Traditional bathroom design. Are you ready to modernise your outdated bathroom? Modern bathrooms have a sleek finish and create a unique atmosphere. We offer a selection of modern bathware, tapware, basins and vanities. Paired with our professional advice and creative designs we will create your modern bathroom masterpiece. Add a sense of lux and indulgence to your bathroom renovation. 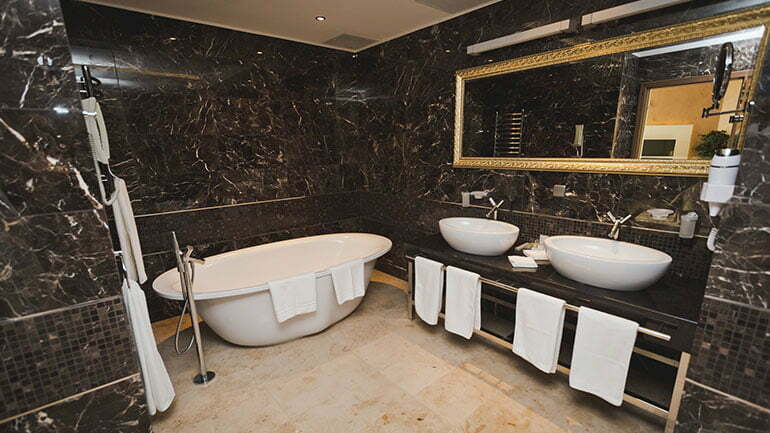 What better way to escape the stress of your busy day that with your own private spa bath. We have the perfect combination of superior craftsmanship and exceptional bathware. Let’s create a luxurious experience when you use your newly renovated bathroom. Want an outstanding designer bathroom? Seen an awesome bathroom in a magazine that you must have in your own home? 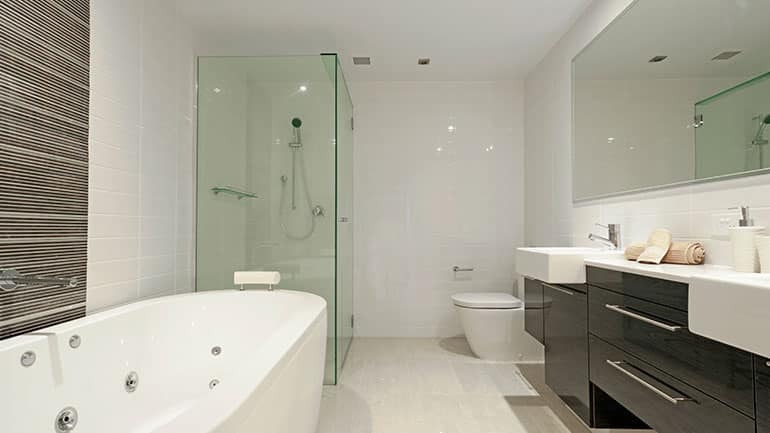 Our highly skilled bathroom renovation team can create the designer bathroom you desire. We supply all bathware, tapware, fittings and fixtures and create custom builds to suit. Complete custom bespoke designs at competitive prices. 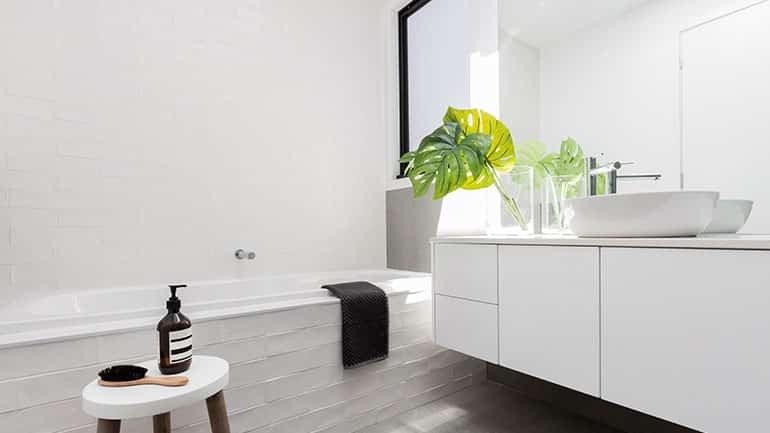 Our highly skilled Sydney bathroom renovators are ready to give your bathroom the makeover it deserves!